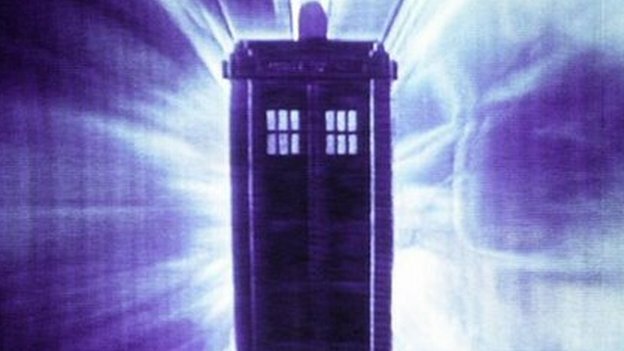 As Doctor Who fans celebrate the series's 50th anniversary Dr Andrew Crome, lecturer in the history of modern Christianity at the University of Manchester, explains how the time-travelling Doctor allows us to explore different beliefs and ethical viewpoints. A near immortal crossing space and time, followers split over interpretation, characters in strange hats... Perhaps it is no surprise Doctor Who is sometimes described as a form of surrogate religion. However, behind this light-hearted comparison lies a grain of truth, as Doctor Who has continually engaged with important religious themes across its 50-year run. At times religion has been addressed directly. For example, 1970s producer Barry Letts, a practicing Buddhist, worked ideas from his faith into the show's narrative: witness Jon Pertwee sharing a version of the Mumonkan's sixth Zen Koan with companion Jo Grant in the 1972 episode The Time Monster. When Jon Pertwee regenerated into Tom Baker, elements of the episode were set in a Buddhist meditation centre, with a fellow Time Lord clandestinely living as a Buddhist monk in close attendance. 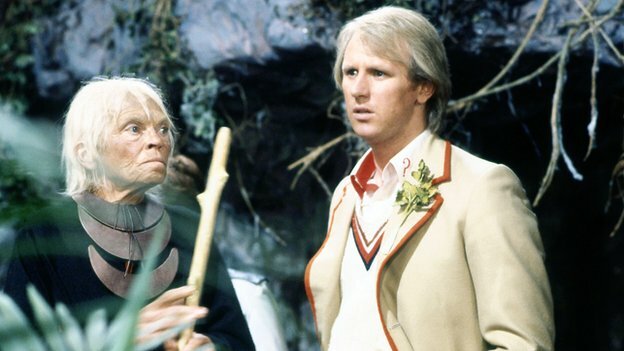 These themes continued in later episodes, for example in Christopher Bailey's Kinda in 1982 and in Snakedance in 1983 where once again the episodes were strongly hinged on Buddhist mythology. Kinda focuses on escaping the Wheel of Time and characters are named after Buddhist concepts such as Anatta (not-self), Anicca (impermanence) and Dukkha (suffering). Doctor Who has a more complex relationship with Christianity. 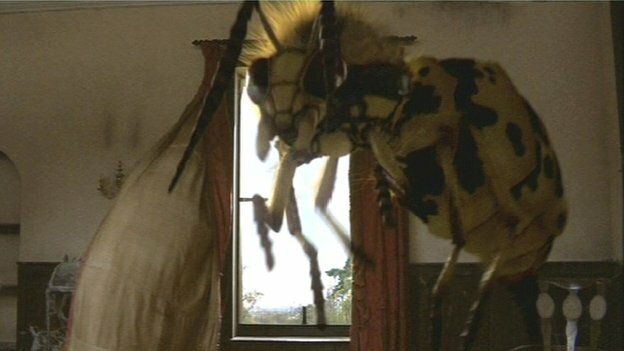 Clergymen have often been suspect - whether its the Master disguising himself as a vicar in The Daemons (1971), or the unfortunate Reverend Golightly in 2007's The Unicorn and the Wasp, who - much to his surprise - discovers he is a giant alien insect in disguise and dies cursing humanity's "tribal sky gods". Yet while some theories of secularisation might suggest Christianity will have all but vanished in humanity's future, recent episodes suggest it survives in some form. Executive Producer Steven Moffat has thus re-imagined a 51st Century Anglican Church as a morally ambiguous paramilitary organisation, complete with ranks made up of bishops, vergers and soldiers with special holy names. While the Church can ally with the Doctor, as in the 2010 episodes of The Time of Angels/Flesh and Stone; in the 2011 episode A Good Man Goes to War they fight against him, working in tandem with an order of headless monks and a mysterious religious sect known as The Silence. These varied portrayals should remind us that Doctor Who has no default position on religion, whether positive or negative, and a writer's idea can be adapted by actors, directors and producers to take on themes which might be contrary to their original intention; as we see with Christopher Bailey's frustration at director Peter Grimwade's insertion of the Garden of Eden imagery into Kinda. Even when a writer or director had greater creative control - as in the case of Russell T Davies in the post-2005 series - religious themes have been interpreted in unexpected ways. Davies himself experienced this in 2007 with the episode Gridlock. Originally designed to show a society in which faith caused individuals to be paralysed in inaction until the Doctor's arrival, it featured moving portrayals of communities brought together by hymn singing and faith. Contrary to its author's intentions, the episode ended up being nominated for the Evangelical Christian Epiphany Prize for its positive depiction of belief. Similarly, Last of the Time Lords in 2007 featured the Doctor "resurrected" through communities professing their faith in him - or, as the Master mockingly described it, "prayer" - a plot point which upset many non-religious fans with its supposedly religious implications. Perhaps one of the most helpful ways of thinking about religion in Doctor Who is to see the show as a lens through which to explore religious concepts and raise ethical issues. For example, Doctor Who has repeatedly dealt with the question of what belief actually is. The Doctor challenges things we take for granted, encouraging us to open our minds and imagine both our society and personal beliefs may need to be reassessed. This might be in unmasking false gods. In the 1977 adventure The Face of Evil, for instance, he reveals the "god" worshipped by two warring tribes is in fact an insane computer that believes itself to be a deity. The god-like being in The Daemon or the ancient Egyptian "gods" in Pyramids of Mars (1975) are revealed to be powerful, but not divine, aliens by the Doctor. But this sort of revelation can run both ways. In the 1989 Battlefield he opens his companion Ace's eyes to the possible existence of magic as an alternative to technology; while in 2006 in the episode The Satan Pit he is forced to admit he cannot explain the existence of a powerful demonic creature imprisoned in the centre of a planet. Doctor Who also illustrates shifting understandings of belief in Britain. Take the contrast between the nature of faith explored in the 1989 story The Curse of Fenric and the 2011 episode The God Complex. In the former, faith is something positive that wards off evil - whether that is faith in God, Communism, or the Doctor himself. The latter however, sees faith as overwhelmingly negative - as a "god" rejected by his people wanders a labyrinth feeding off the beliefs of those he encounters. Where faith saved in Fenric, it guarantees death in The God Complex, demonstrating a much greater concern over supposedly irrational belief than in the earlier episode. However, even in Fenric faith is not seen as wholly desirable. Indeed, the Doctor is cruel to Ace to break her faith in him - this ruse allows him to attack the enemy. As one of the speakers at the recent Religion and Doctor Who conference in Manchester pointed out, we can see a similar shift by comparing the Doctor's actions in The Aztecs in 1964 and The Rings of Akhaten in 2013. 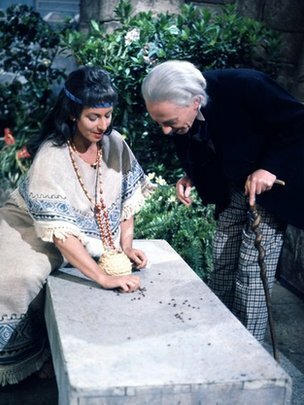 In the earlier episode, one of the Doctor's companions is mistaken for a reincarnation of Aztec High Priest Yetaxa, and plans to use her power to abolish human sacrifice. The Doctor reminds her that such actions fail to appreciate Aztec culture. "Human sacrifice is their tradition. Their religion. There's nothing we can do about it," he says. When she halts a sacrifice, the victim is so appalled by her transgression that he kills himself to complete the ritual. In 2013, the Doctor faces a similar problem. A young girl with ritual responsibilities believes she has failed her god and offers herself as a willing sacrifice, as tradition demands. Here, the Doctor's actions are the opposite of his advice in the earlier episode. "It's not a god," he tells the girl. "You are unique in the universe… Getting rid of that existence isn't a sacrifice. It is a waste." The sacrifice is stopped and the religion and culture of Akhaten changed; something that the First Doctor shrank from in The Aztecs. 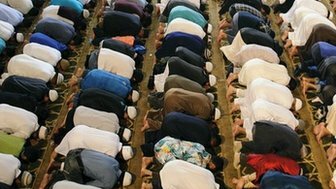 These sorts of comparisons can help to track changes in the way religion is portrayed in British popular culture, perhaps providing insight into the supposed "secularisation" of Britain which sociologist Callum Brown claimed kicked into gear in 1963 - the year of Doctor Who's appearance. 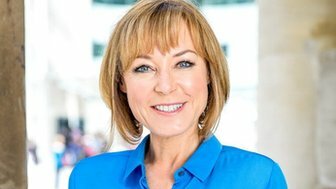 Perhaps more importantly, Doctor Who can help us contemplate a range of different moral and religious scenarios, allowing us to explore in a fictional setting the way we think about beliefs and ethical viewpoints which differ from our own. In 1964, the Doctor (played by William Hartnell) told his granddaughter to "go forward in all your beliefs and prove to me that I am not mistaken in mine". In 2013, Doctor Who can provide us with a vehicle for doing just that. Why is the biblical epic making a comeback? Why and how do people meditate?